Our offices are currently closed, but if you are experiencing an emergency or need to get ahold of our team, just call the number above! We are always available to service your needs. Our effective heating & cooling solutions have assisted people with their respective custom heating and air conditioning demands at homes as well as at workplaces. Our unmatched indoor air systems reduce your total cooling costs with utmost effectiveness. R.K. Payne Inc. sells only quality air conditioners, Carrier A/C parts and central heating systems that deliver reliable central cooling and heating in all weather conditions. Being your topmost heating & cooling experts, we actively diagnose and repair air conditioning units, water heaters and other heating systems. Our skilled professionals at R.K. Payne Inc. offer various indoor air quality services at affordable prices. Our main motive is to change the quality of air you breathe by incorporating the latest air indoor air quality technology and methods. We render quality indoor air quality services to remove dust and debris, solid dust particles, pet hair, and other foreign bodies in your home's air duct systems. As a Carrier Factory Authorized Dealer, R. K. Payne, Inc. has the ability to offer financing through Wells Fargo with approved credit that can help assist in your heating or cooling system purchase. Learn more about our financing options through Wells Fargo! R. K. Payne, Inc. is extremely proud to be recognized as a Carrier Factory Authorized Dealer. Fewer than 5% of heating and cooling contractors in the country receive this distinction. To maintain factory endorsement, we meet strenuous criteria for insurance requirements, liability coverage, EPA certification, warranty management, product training, and installation, repair, and service procedures. Our NATE-certified technicians participate in on-going factory training specific to the technical aspects of increasingly sophisticated HVAC equipment. Our sales representatives have the necessary background to identify and recommend solutions that deliver superior comfort and value, specific to your exact needs. We utilize Factory Authorized Parts when possible, ensuring that your system performs as expected, preserving original efficiency and operational sound levels. We complete on time and on-budget installation and retrofits, protect the value of your equipment with seasonal maintenance, and are available for Emergency Service, 24/7. Contact R. K. Payne, Inc. for rewarding solutions to your comfort needs across Spotsylvania, King George, Fredericksburg, Stafford, and Colonial Beach, and we'll deliver complete satisfaction through unwavering dedication. We're small enough to know you, and large enough to serve you. Promotion runs 3/18/19 – 6/30/19. Restrictions apply. Contact us for more information! Welcome to R. K. Payne, Inc.Since 1983, R. K. Payne, Inc. has consistently built a reputation for dependable and affordable service. We’ve deliberately kept our business small in order to deliver higher quality and more individualized attention to our customers. 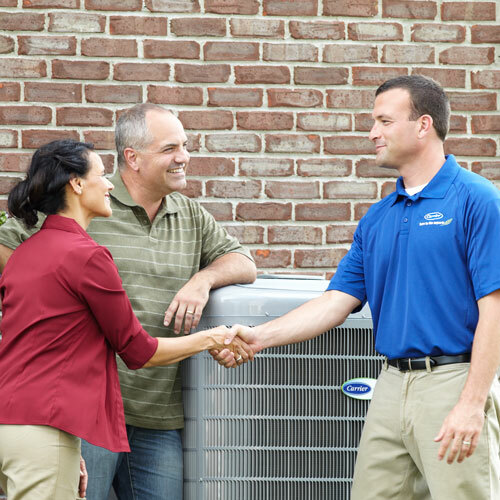 Our expert team is made up of factory trained, state-licensed certified electrical and HVAC technicians. We are extensively trained to offer a diverse range of home repair, installation, and other customized services, including electric, cooling, heating, air filtration, and duct maintenance. Free duct evaluations, free on-site quotes, convenient financing options, and comprehensive service agreements protect your best interests and ensure greater rewards from your investment. Know that when you contact R. K. Payne, Inc. to handle any type of challenge or improvement project, you receive timely, knowledgeable, and conscientious workmanship. Your comfort, safety, and 100% satisfaction are always our priority.